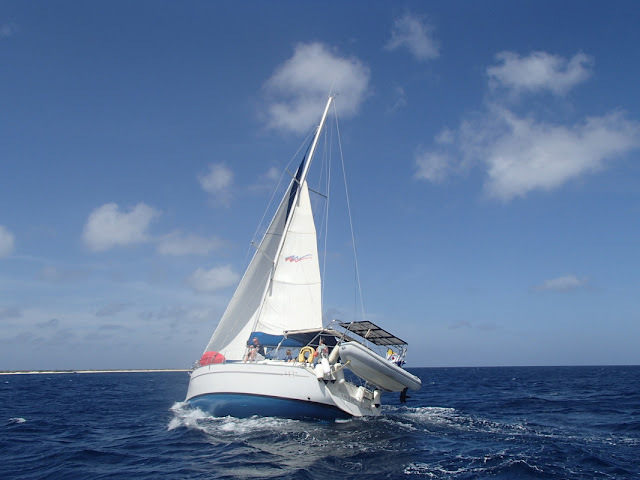 Bonaire From the Sea only deals in private charters for the week, day or part day. 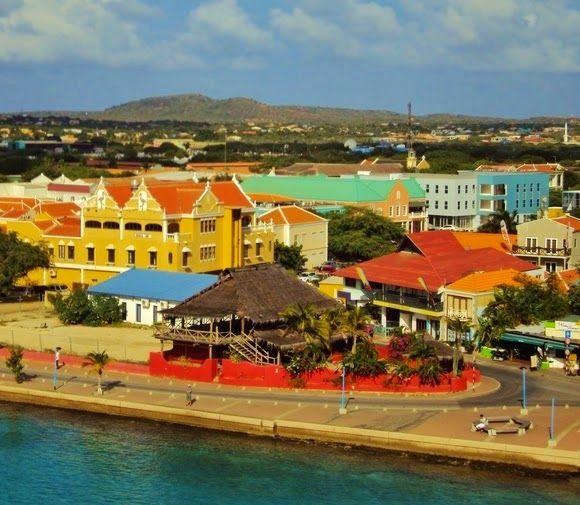 A wonderful vacation experience for couples, families or small groups of friends (maximum 6) when visiting this Dutch Caribbean island. Weekly and daily dive, snorkeling and sailing packages includes up to 4 experienced scuba divers for safety and comfort, and two air or nitrox tanks are included per person per day. AMORAY has an easy entry platform for diving, snorkelling and swimming, and a kayak and barbeque for guest use too. Two air or nitrox tanks are included per person per day, and full high quality scuba and snorkel equipment rental is available. Captain Richard Willis is a Bonaire resident, Master Scuba Diver Trainer (MSDT), and has worked as a senior PADI dive instructor on Bonaire, training and certifying over 300 divers. His specialties include reef fish identification, sea turtle awareness, and nature guide. Package includes airport pickup, complimentary welcome package, accommodation on-board for a maximum of six people, sailing, diving and snorkeling. 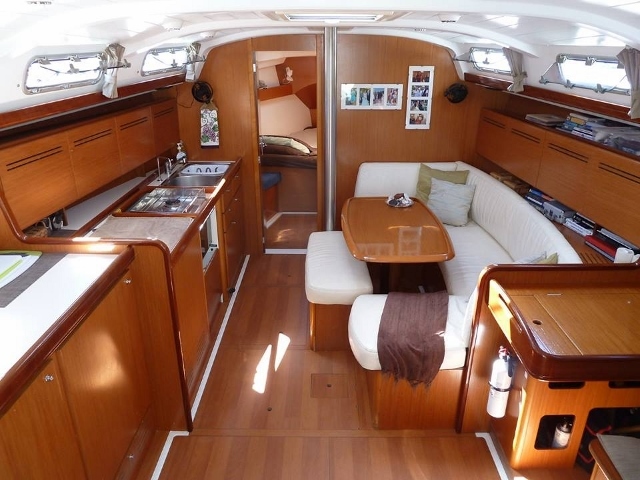 The fully equipped 44 foot sailboat AMORAY will be your home base. 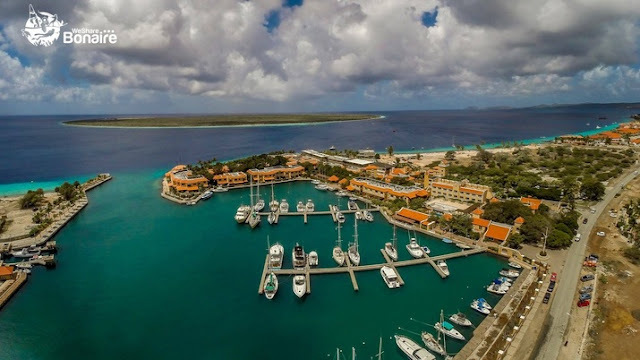 After a day of sailing each evening you will be docked in Harbour Village Marina in Bonaire's capital city and main port. 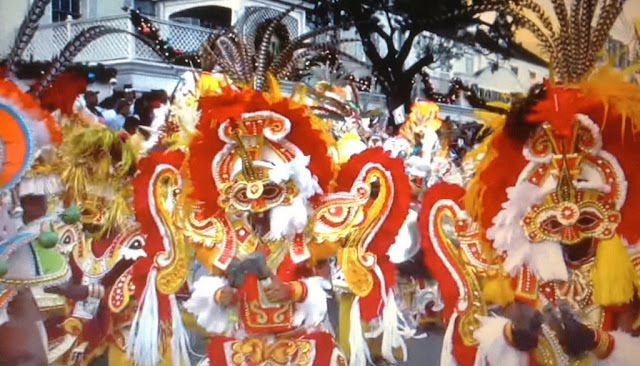 The marina is just a short walk from the islands best restaurants. You can also opt for gourmet catering on-board, or cater for yourselves if you desire. You determine the time the captain comes on board each morning for another day of sailing, diving, snorkeling and nature watching. The weekly rental includes a day with marine biologist Sue Willis PhD, who will answer questions and act as your guide - and she is also the captain's wife. No problem if you want to leave the water during the week and spend a day exploring the island on land. The captain and crew can arrange for scooter or electric car rental.